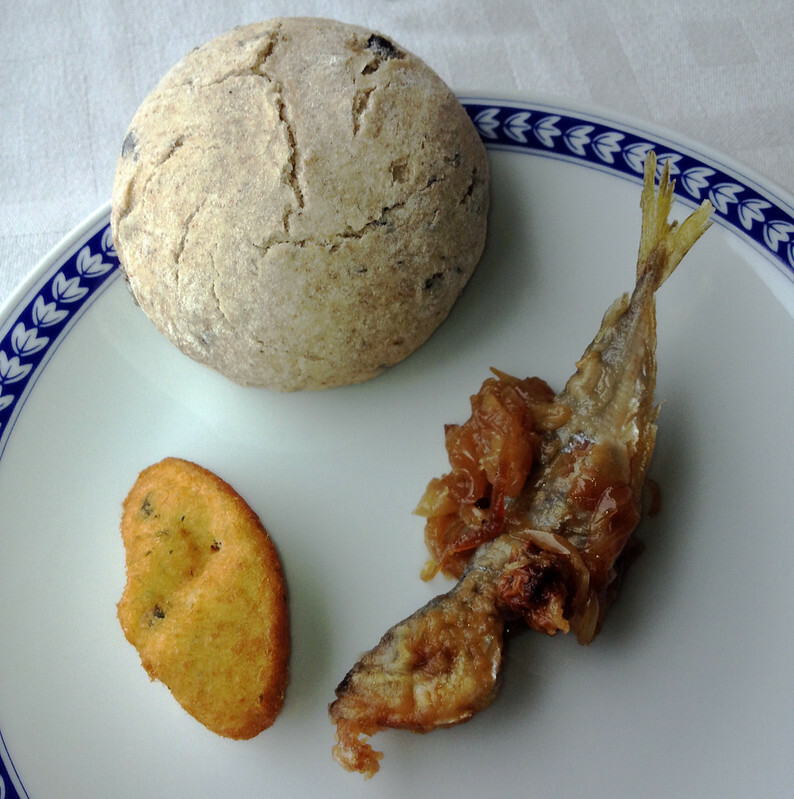 #1 Fresh sardines with caramelized onion at the out-of-this-world Restaurante Do Clube Naval do Guadiana/Vila Real di Santo Antonio. #2 You'll find this fun, colorful yarn art adorning the trees in the city of Lagos's historical center. #7 Any beach in the beautiful Algarve will bring out a smile. This is Praia da Oura, very close to where I live. 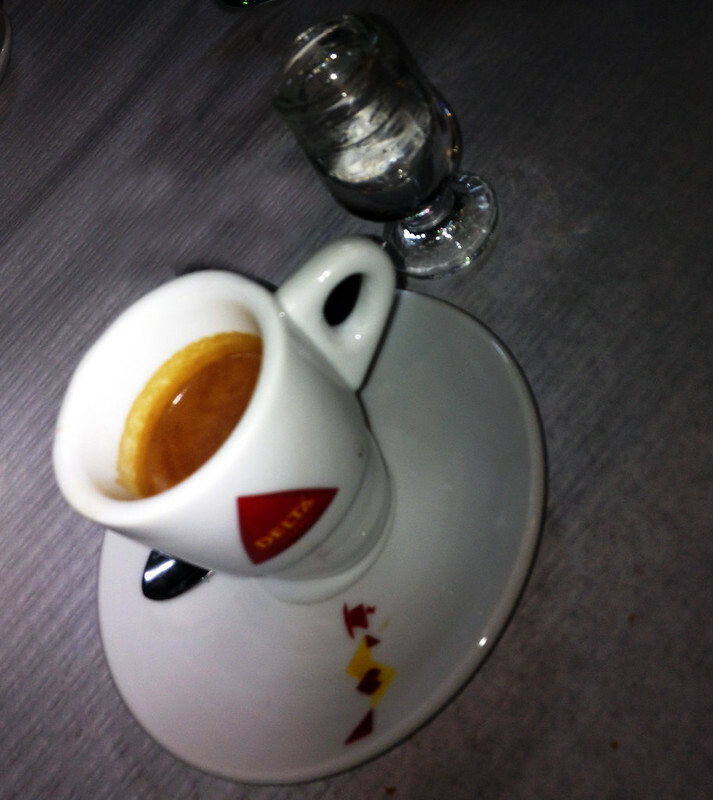 #10 This traditional Portuguese coffee is called um bica, or un cafe (very strong expresso) . The liquor is Mendorah, and made from local berries. 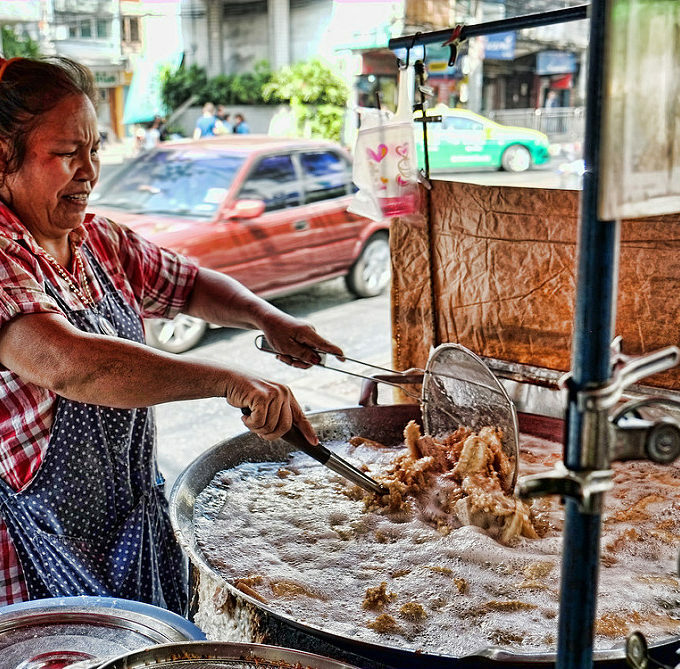 It packs a punch, and could make you either smile or grimace! 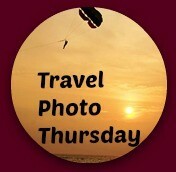 Welcome to another week of Travel Photo Thursday, week 263 (1/28/2016). I’m well into my third week in the beautiful Algarve. In spite of having a website house that keeps suspending the blog (hopefully fixed! ), and finding an Internet provider that is not going to bankrupt me (long story), there is lots to smile about here in the Algarve. This week I want to share with you 10 things that I guarantee will have you smiling when you visit the beautiful Algarve. Before you go EWWW!, the only sardines I had ever eaten were out of can. There is absolutely no comparison. If you ever have the chance to experience a fresh sardine, don’t hesitate. The caramelized onions were a perfect accompaniment. 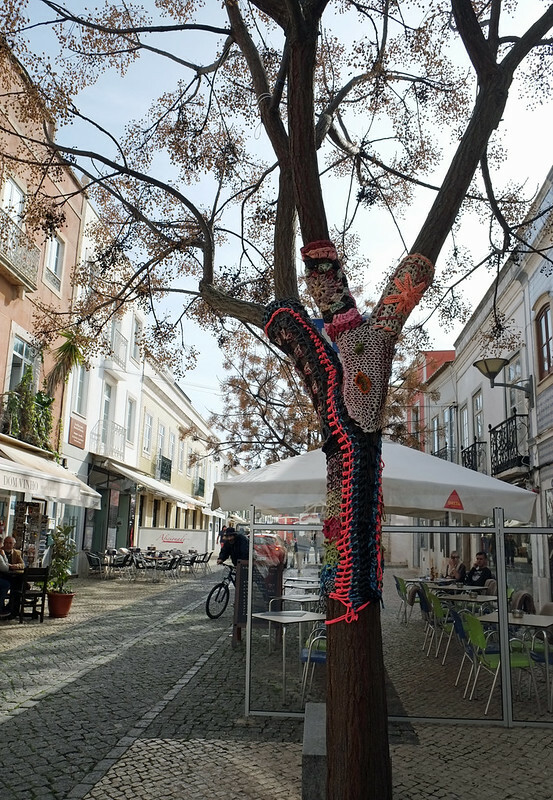 #2 You’ll find this fun, colorful yarn art adorning the trees in the city of Lagos’s historical center. 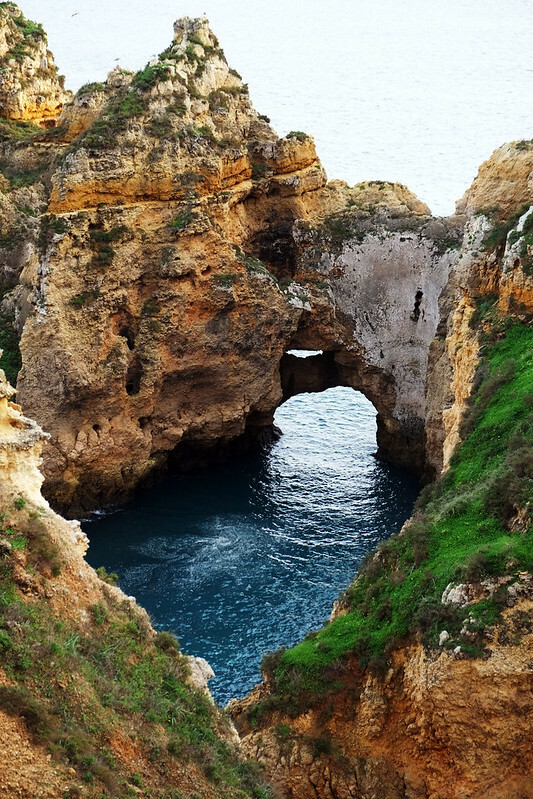 Don’t miss visiting Lagos when you’re in the Algarve. The cobblestone streets lined with traditional cafes, restaurants, and shops make for a lovely wander, and there are some fantastic seascapes near by. #3 and #4 Situated very close to Lagos, I explored this gorgeous area, Ponta Da Piedade, with blogging friends Anita and Richard, who blog over at No Particular Place to Go. You can easily spend a couple of hours here meandering along the many pathways (don’t get too close to the edge! ), and there are stairs (182 steps!) leading down to the ocean. Be watchful at the bottom. The waves are not shy about crashing over the platform! The archway, with that to die for blue, will take your breath away. Boat tours are available in season, and I want to return so that I an experience all of this awesomeness from the water. There was one operator offering tours, but I think that on the water it would have been teeth chattering cold. #5 You’ll find cork trees growing up in the mountains, a short, leisurely drive from the coast. The cork is only harvested once every nine years. Notice that nothing is harvested from the top of the tree. 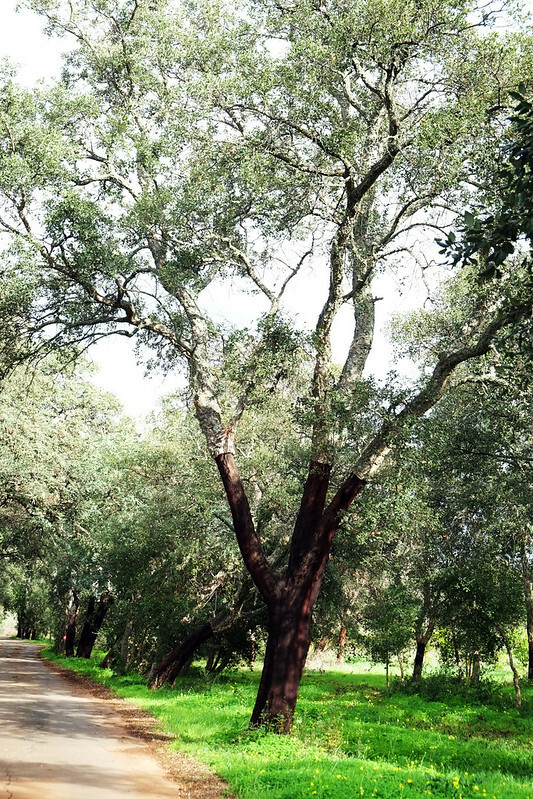 This lovely grove is on the way to the village of Alte, one of the prettiest in the Algarve. #6 Every Portuguese house has at least one chimney, usually three, and they beg to have their photo taken! This one graces a property in Alte. I love the color! #8 and #9 The first time I came across these door knockers was in Lisbon. I was with a blogging friend, and she pointed one out to me. She mentioned that the various characteristics of the knocker told whether or not the person living in the home was male or female, and their marital status. I’ve done some research since, and haven’t been able to find out too much about these knockers. I have discovered that they are of Moorish origin. and possibly Muslim. Apparently, they are also commonly found throughout the Middle East. 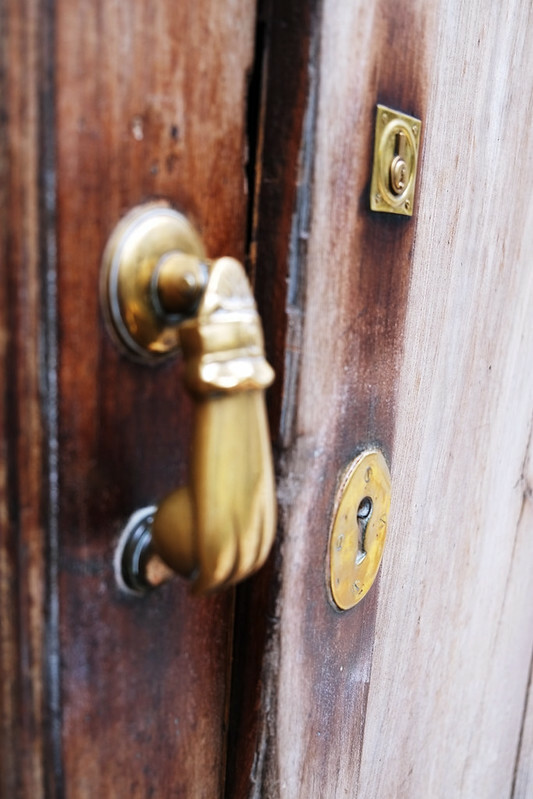 The knocker is called ‘Fatima Hand’. Aren’t they lovely? Have you been to the beautiful Algarve? What made you smile here? I have only ever had (once) sardines from a can and agree EWWWW. But I have seen these in Portugal and been tempted. Now I will try them. We are wintering in Mexico and have seen a few door handles like the ones you are showing. I’ve not been to the Algarve but I love the look of Lagos and am going to look at Alte. I love everything about this post. From the hand of Fatima door knockers, to the cork trees. How much longer will you be in the area Nancie? My favorite parts of this post were reading about the yarn decorated trees and the beautiful cork trees with mountain backgrounds. I’d love to see a beach as beautiful as Algarve’s! Love the yarn trees and the beautiful beach shots. Not so sure about the sardines but I guess I would try them – you only go around once! That sardine grabbed my attention (and my stomach!). Looks yummy! I’d never heard of cork trees. I have not been to the Algarve but I really want to go. I have heard a lot about Ponta de Piedade and about its beauty. It would be great to take a boat ride and pass under the arch. You photos of Portugal are fueling my wanderlust! These pictures are beautiful. I think Portugal is often overlooked as a travel destination due to its proximity with Spain, but as these pictures go to show its got a lot of to offer in its own right. 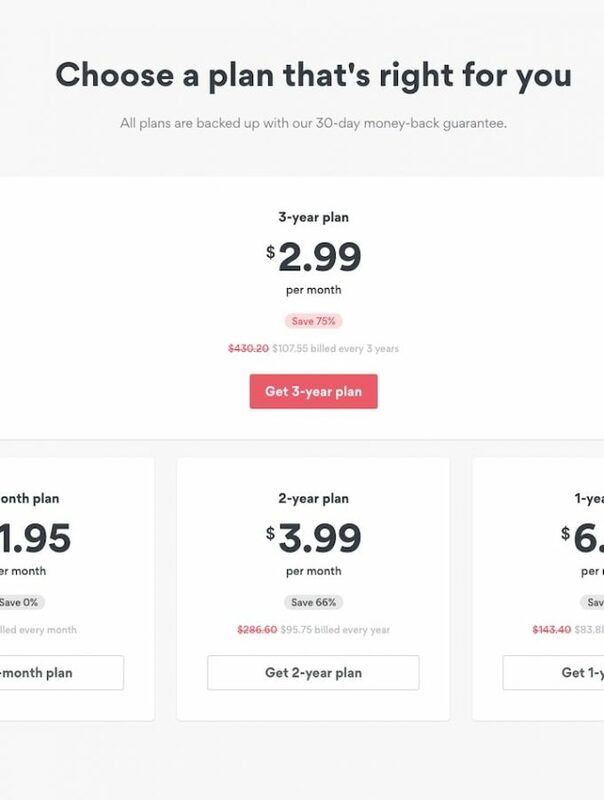 Admittedly it’s not somewhere I’d considered before but it think now I definitely will when it comes to planning my next trip. Keep up the good work. 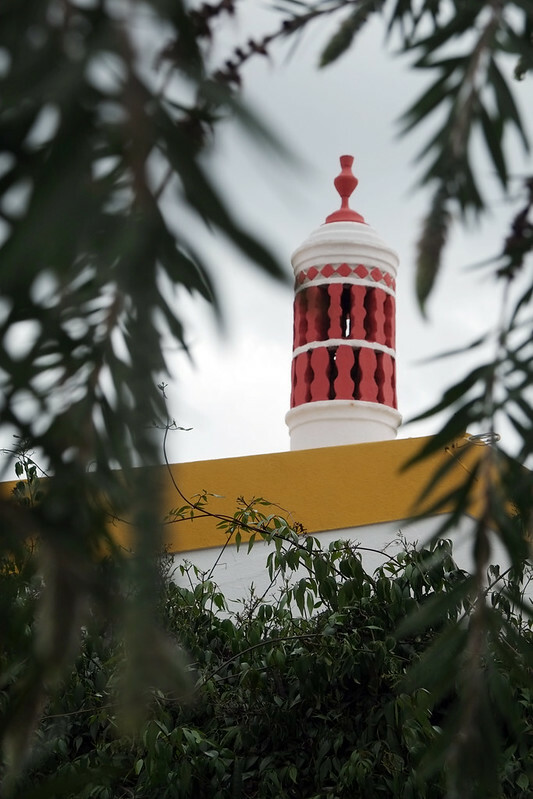 It must have been fun to have fellow bloggers along for exploring Algarve. The 182 steps down to that sea arch are worth the effort, but I might change my mind about the 182 steps back UP. 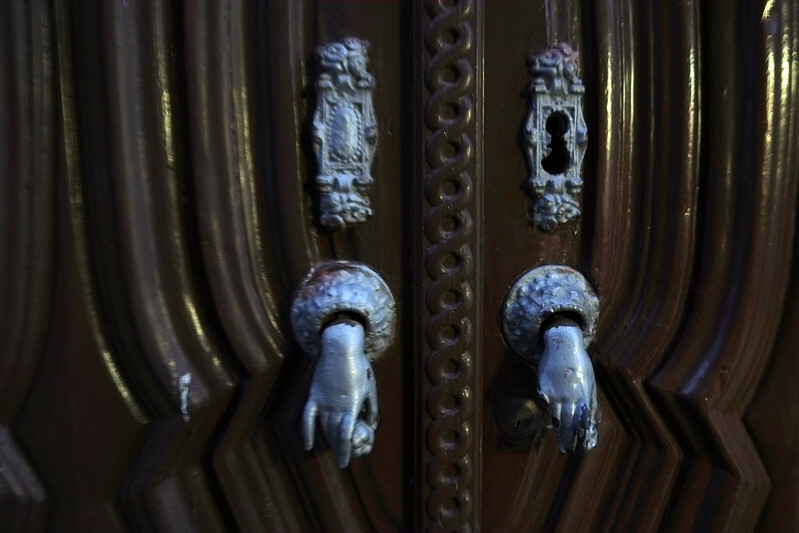 I’ve seen Fatima’s Hand door knockers before but didn’t realize that they signified anything. I wonder if you have to change them when someone new moves in. 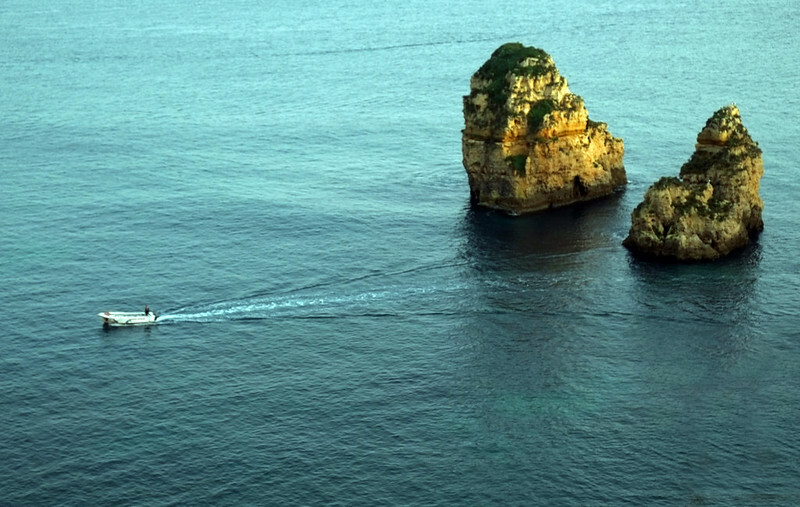 Gorgeous photos, especially the ones of my favorite place, the Ponta Da Piedade. It looks like Portugal and especially the Algarve Region have burrowed their way into your heart, Nancy! We’ve enjoyed showing you some of the things we love about Lagos and are looking forward to sharing a few more adventures with you while you’re here. I absolutely love the Algarve coast, especially all the hidden beach spots you can find in the Lagos area along with the ones you have to walk down the 150 stairs to. Hi, Andrew. 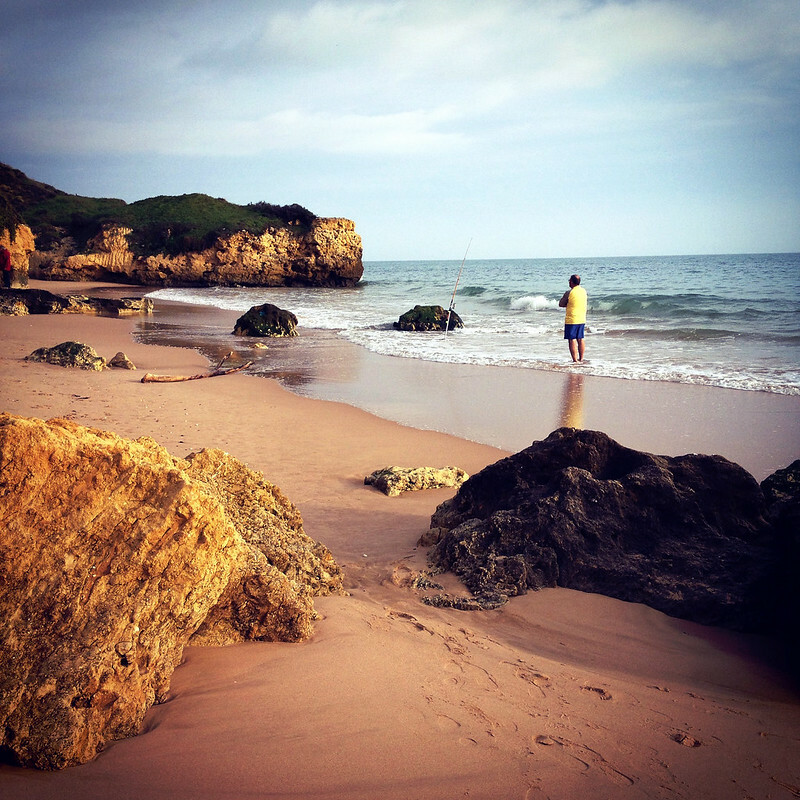 I spent a lot of time on the Algarve beaches last winter and loved each and every one of them. Enjoy Portugal. I hope to visit again later this year or early 2018. The entire country is fabulous.